According to the FBI, a home or office is broken into every 13 seconds. (1.) With that in mind, it’s imperative that valuables such as jewelry, guns, cash, and even important business documents are properly stored in a high security safe. 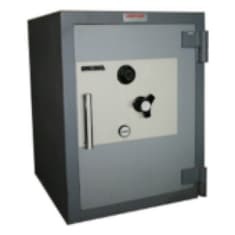 High security safes are those that have been awarded certificates and accreditations, from independent third party laboratories, for their tool resistance, fire rating and cash rating (insurance). These ratings ensure the safe’s ability to protect its contents from theft, tampering, fire and other extreme conditions. If you’re in the market for a safe, but not sure where to start, the following article will detail what you need to look for and consider before purchasing a high security safe. Many businesses today keep their cash from day to day transactions stored in a high security safe. Most high security safes have a cash rating which states how much insurance will payout if the security of the safe has been compromised. These ratings generally go hand-in-hand with the UL ratings. If someone managed to break into your home, you would want to make sure that your safe is secure. For maximum protection, it’s advised that you mount your safe to the floor to prevent it from being stolen. Some safes can even be installed in the walls of your home or office, making them difficult to find. Although these installations can be done on your own, it’s recommended that you consult a licensed safe technician to install your safe in order to prevent any damage to your safe or your home. The cost of having your safe professionally installed can range anywhere from few hundred dollars up to about a thousand dollars. The charge can vary depending on the safe size and access to the final mounting position. Be mindful of any small hallways or stairways that the safe has to travel through before reaching its final destination. 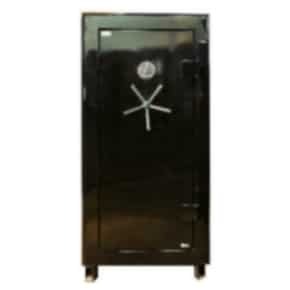 Many online safe dealers can ship a safe to your house, but that’s it. These dealers can’t provide the level of after-sales support that a brick and mortar location can. If the safe is too large to move by yourself, you will have to call a trusted safe moving service in order to get the safe to its final destination. A reputable safe dealer should be able to not only sell you the safe, but install it and provide any future additional servicing your safe may need. 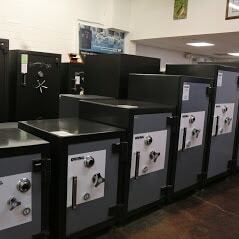 Here at Houston Safe & Lock, we have the largest indoor showroom of safes in Houston. With over 400 high security safes to choose from, there’s something for everyone. Visit our local showroom or give us a call today to speak to one of our safe experts who will help you pick out a safe that’s right for you. We are Houston’s leader in security.